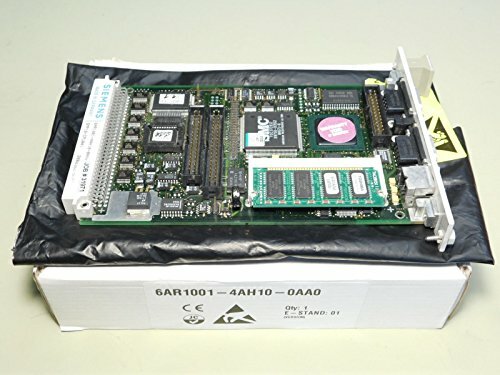 BRAND NEW - Siemens 6AR1001-4AH10-0AA0 SICOMP-CPU041 with ELAN SC400 (66 As shown in the pictures. Brand new, never used. No issues to note. All of our electronic parts are guaranteed and come with a 60 DAY REPLACEMENT WARRANTY. 100% Money Back Guarantee. FAST FREE SHIPPING! For USA and CANADA. EXPRESS & OVERNIGHT SHIPPING AVAILABLE UPON REQUEST IF NEEDED.